Media is what makes your documents engaging and beautiful, so we&apos;ve built in powerful tools for managing your various media elements. Clicking the Media button will expand the Media pane which is split into two different sections - Embeds and Files. The differences between these two tabs is that Embeds are only accessible in the Pagedip you added them in, while Files are globally available within a Namespace. 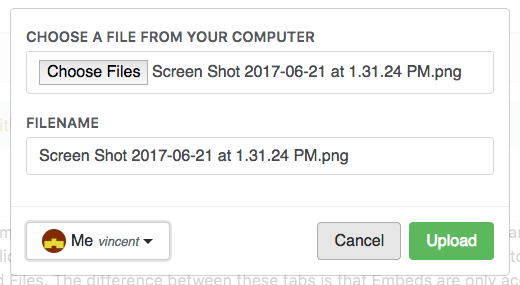 This option allows you to upload a file from your computer so it can be used in your document. When you upload a file, you&apos;re able to give it a name, and set the Namespace you&apos;d like it to appear in. This allows you to enter the direct URL of some form of media (image, video, audio, etc), and use it as a File or Embed in your Pagedip. If you&apos;re using someone else&apos;s media, be sure you aren&apos;t breaking any Copyright laws first. 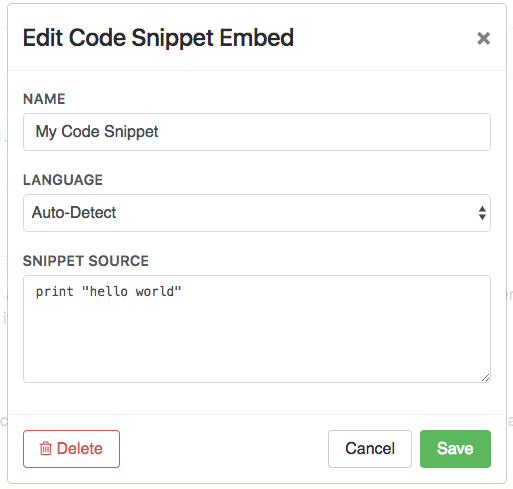 This tool allows you to create a block of text that has special Code formatting from the Code Styles Extra. This is great for code because it will change the text color of specific elements in your code based on the language it&apos;s written in. See the example below! 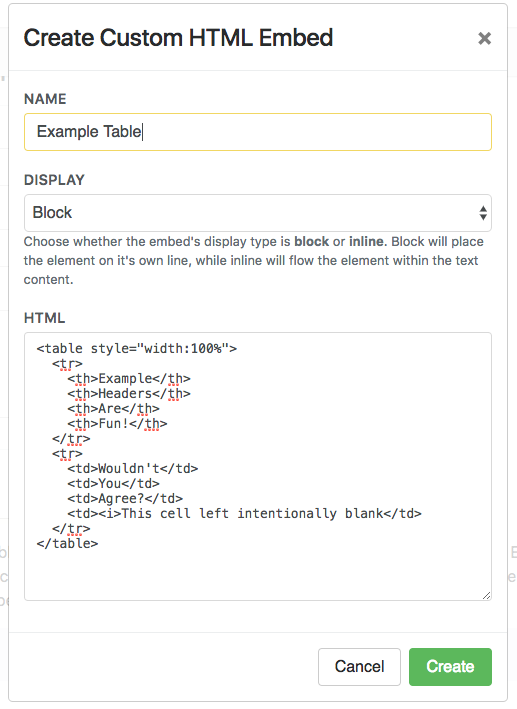 Custom HTML allows you to enter your own HTML code to create an element. A great example of this is if you&apos;d like to create a table in your document. See below for an example of this. This option has pre-filled URL information that&apos;s specifically for Youtube videos. This allows you to display a Youtube video in your document without the need to link out to it. Theme Embeds are specific to the Theme you&apos;re using. If you have a question about one of your Theme Embeds, we&apos;d recommend contacting the developer of your theme.